No time to cook? That’s no excuse for skipping breakfast. A base of plain yogurt provides protein and calcium. Add whole-grain cereal, an important source of complex carbohydrates and fiber. Top it off with fruit for sweetness and flavor and nuts or seeds for minerals, healthy fat, and a good crunch. Start with a bowl of yogurt and add your favorite things for a high-quality breakfast. 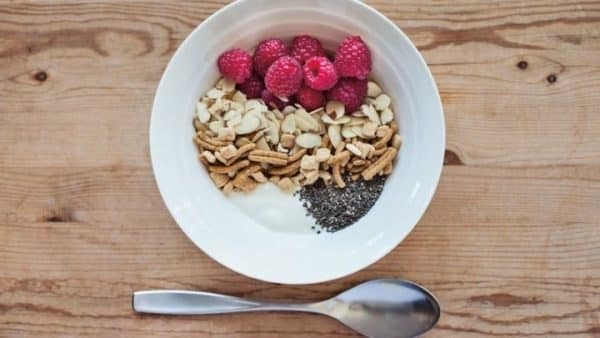 If you like to mix it all together but want the cereal to stay crunchy, stir the nuts, seeds, and fruit into your yogurt, then add the cereal on top.